Lytro’s buzzworthy light-field camera got a snazzy new update that adds some much-wanted new manual controls, colors and accessories. The controls — Shutter Speed, ISO Sensitivity, Neutral Density (ND) Filter, and Auto Exposure (AE) Lock — “give Lytro photographers the opportunity to take control of the exposure in a scene,” says Eric Cheng, Lytro’s director of photography. 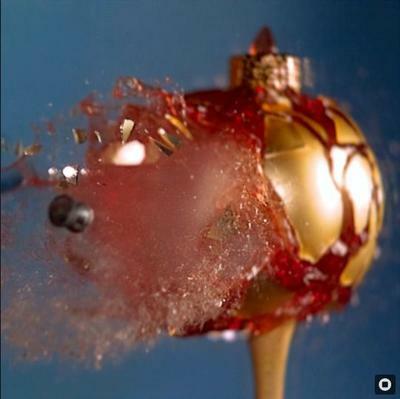 These controls will better enable shooters to capture “things like subjects in motion or experimenting with artistic styles like light painting.” Case in point: Cheng’s photo (above) — of a pellet that was fired through a Christmas ornament filled with Jello — is a high-speed image captured with a Lytro camera. Shutter Speed – Manual control over shutter speed is essential for capturing images in dark conditions. Photogs can now set how long the shutter remains open, from 1/250 of a second to as long as 8 seconds. ISO Sensitivity – How light-sensitive should the camera’s censor be? That all depends on the environment — from low-light events or candle-lit restaurants to light-blasted stadiums and amusement parks. The ISO range is 80 (min) to 3200 (max). Neutral Density (ND) Filter – Shooting in a ridiculously bright setting? Now the photographer can go into full manual mode and throw on the ND Filter switch, to adjust the amount of light captured. Auto Exposure (AE) Lock – If the user wants to lock the auto exposure in order to, say, adjust the composition of a shot in a particular scene, that’s now possible, thanks to this new feature. “With manual controls, they now have more flexibility as they push the boundaries of the light field,” says Cheng. From this day forward, all new Lytro cameras will come with the controls, and existing owners can download the free update. 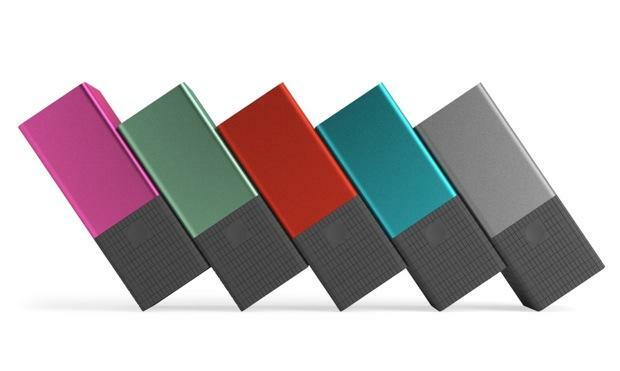 In addition, the company is also offering two new camera color options for the U.S. market, plus two new Lytro accessories. Seaglass is now available on Lytro.com (8GB, $399), and Moxie Pink debuts today on Target.com (8GB, $399), with a later roll-out in CityTarget stores in November. The accessories, the Camera Case and Camera Sleeve, are made of coated canvas and microfiber and cost $59.95 and $29.95 respectively.